Dustin Levy is a Director of Product Management at Gentex Corporation—the leading supplier of high-performance flight equipment for military, law enforcement, and rescue aircrew worldwide. 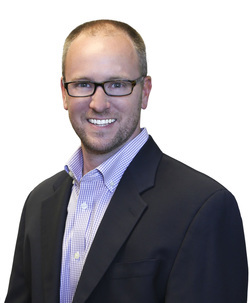 In this position, Dustin’s primary responsibilities include product portfolio management, new product introduction and product line strategy deployment. Prior to joining Gentex, he was a Senior Product Manager at Smiths Detection and in that role launched several new chemical identification solutions into the global security market. During his career, Dustin’s research efforts have been supported by fellowships from the National Research Council and National Institutes of Health and include a track record of several new product innovations, patents and publications. Dustin is a graduate of the doctoral program in Physical Chemistry at the University of Maryland Baltimore County and the MBA program at the University of Massachusetts Amherst.